Ken brings over 30 years of experience building finance and technology organizations to his role as Senior Vice President and Chief Financial Officer at Everbridge. A former recipient of Boston Business Journal’s “CFO of the Year” award, Ken’s financial and operational leadership experience supports Everbridge’s accelerated growth. Ken’s career spans extensive expertise in finance, administration, M&A, corporate strategy and operations, including leadership roles with two public companies and successful IPO and secondary capital raise experience. Prior to Everbridge, Ken served as Executive Vice President and CFO at Fiksu, a Boston-based provider of mobile application marketing products. He was also EVP and CFO Black Duck Software, and previous to that, served as SVP & CFO and Member of the Board of Directors for Salary.com. In this role, Ken led the SaaS company through a successful IPO in 2007, as well as several strategic acquisitions pre and post-IPO. 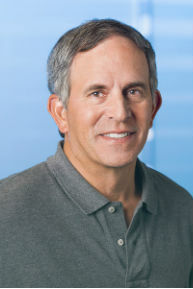 Before Salary.com, Ken held several CFO and executive positions, including Lodestar Corporation, Student Advantage, MediaMap, Shoplink.com and Goldweitz & Company, Inc. A CPA, Ken began his financial career at KPMG. He is a graduate of Syracuse University’s Martin J. Whitman School of Management.